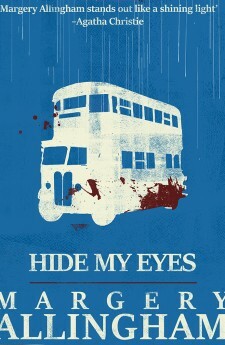 In Hide My Eyes, private detective Albert Campion finds himself hunting down a serial killer. A quiet ruthless killer strikes in London’s theatreland. A spate of murders leaves him and his friend and colleague Inspector Luke, with only two baffling clues: a left-hand glove and a lizard-skin letter-case. However, a chain of strange events leads them to an odd museum of curiosities hidden in a quiet London neighbourhood where more is going on than meets the eye, and to a scrapyard in the East End. Allingham shows her descriptive powers of London background with evocative descriptions of streets in rainy nights …This book brilliantly demonstrates evil and there is a real race against time to catch this killer. 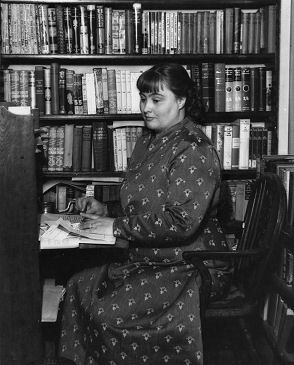 Allingham shows her dark edge in HIDE MY EYES and evokes sights, sounds and smells of fifties London.